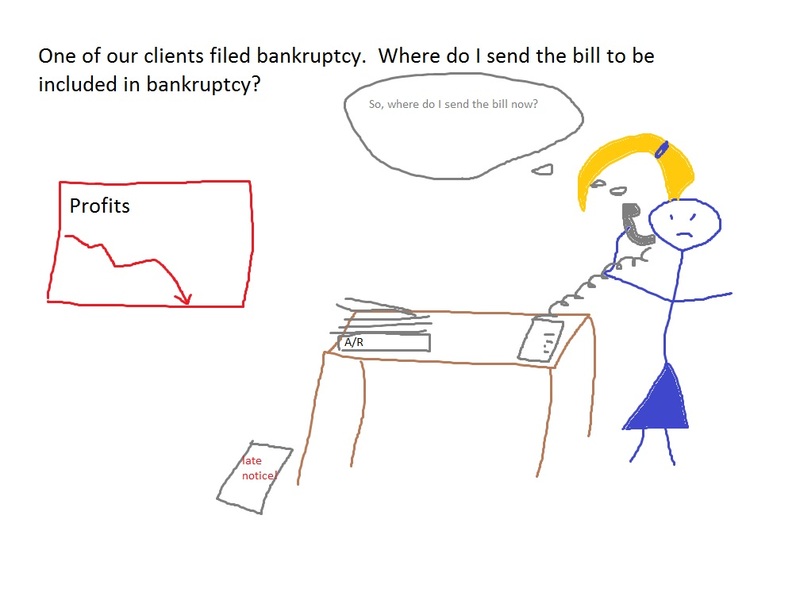 One of our clients filed bankruptcy. Where do I send the bill to be included in bankruptcy? (This is a creditor question, and I don’t represent creditors. 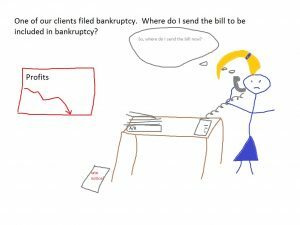 I represent the people who need to seek bankruptcy protection from creditors, but I get asked the question enough that I thought it would be easier in the long run to have an answer on my blog). I get the following email all of the time from creditors. I don’t represent them, and if they have any questions, they really should hire their own collection attorney. That being said, I can at least steer them in the right direction, and I usually do. Courtesy pays, and that karma thing is real. I responded and sent them to the bankruptcy court website here in Utah. If you are a creditor in a chapter 7 or a chapter 13, there is a chance that the debtor (person filing bankruptcy) will be paying out some money to his creditors. Sometimes, it is only pennies on the dollar. However, in some cases, the debtor has to pay our 100% of properly filed claims. The key phrase there is “properly filed.” If you don’t file a claim, you won’t get paid. I filed a case a couple of years back for a collector for a large credit card company. She was in a 100% repayment plan with her chapter 13, and she owed about $15,000 on a credit card with her employer. 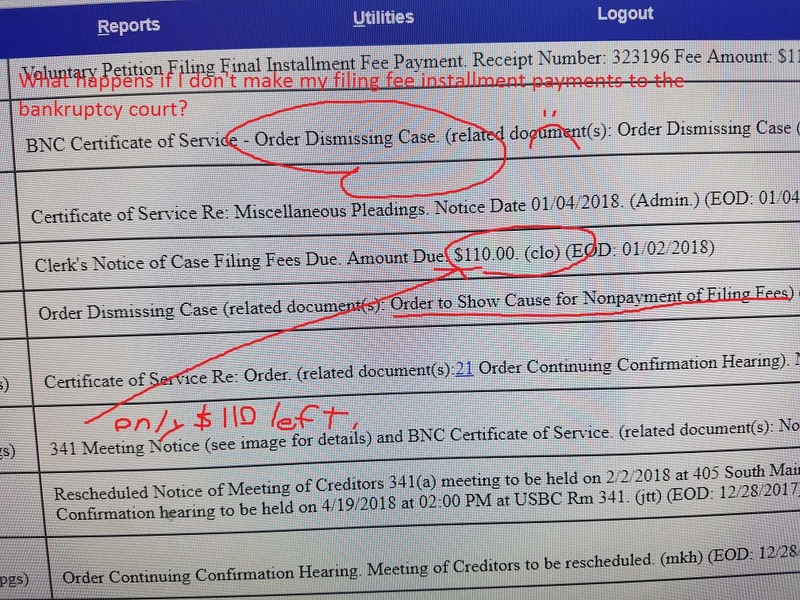 Her employer (a solid collector), filed its claim 2 days late with the bk court, and that $15,000 claim was wiped out with a total repayment of $0.00. They were only 2 days late! Sometimes a creditor may file a claim that may be improper (such as a 10 years old collection bill for a credit card where the statue of limitations was only 6 years), and those claims can be knocked out as well. However, it is guaranteed that the creditor will receive nothing if they don’t even try to file a claim. Here is the bk court page for filing a proof of claim. To file a claim for a case in the District of Utah, complete a Proof of Claim form. *If claim filers wish to have a conformed copy; please include an extra copy and a self-addressed stamped envelope. It is fairly simple, and you should be able to prepare and file the proof of claim on your own. However, it may be a good idea to consult with a collections attorney to make sure you do it right. Because, if you mess up on your proof of claim, you will most likely receive nothing. This entry was posted in Utah Bankruptcy on January 18, 2018 by robertspaynelaw. It’s complicated. Plan on losing all but $1,000 of it for the next 3-5 years. 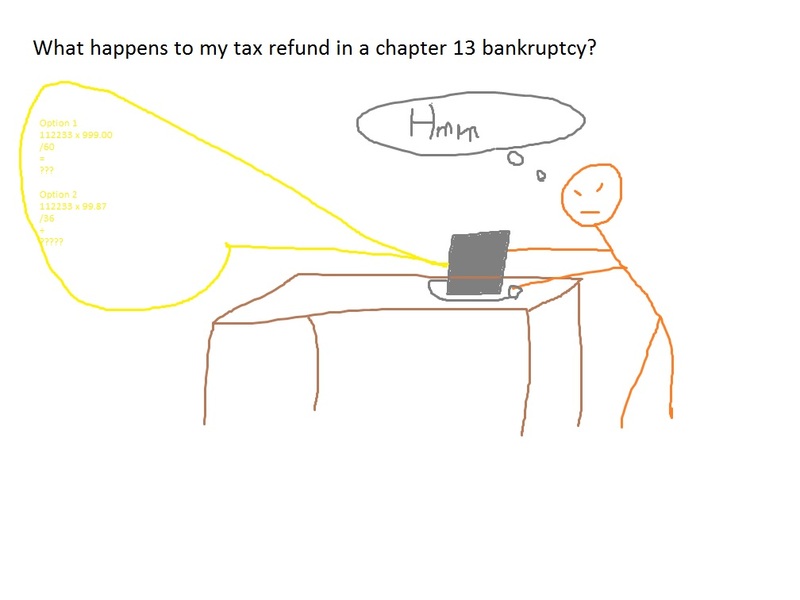 And don’t forget, when you pay this tax refund money into your chapter 13 case, it does NOT pay off your plan early. It goes into a pool to pay your unsecured creditors a little bit more. So it does NOT shorten your bk plan at all. For the next three tax years of xxxxxxxxxx for below median cases and the next five tax years xxxxxxxxxx for above median creditors, the Debtors shall pay into the Plan yearly state and federal tax refunds that, when combined, exceed $1,000 or $2000 in the event the refunds are a result of receiving the Earned Income Credit (“EIC”) and the Additional Child Tax Credit (“ACTC”) or either, then the excess of $2,000 shall be contributed to the Plan. This means that in most cases if your income is below the median income figures, that you will lost a part of your refunds for the next 3 years. If your income is high, then you will lose a portion of your refund for the next 5 years. The following tax years are proposed to be contributed [xxxxxxxxxx]. On or before April 30 of each applicable year, debtors shall provide the Trustee with a copy of the first two pages of filed state and federal tax returns. Any required tax refund contributions shall be paid to the Trustee no later than June 30 of the year the applicable return is filed. For the first tax year contribution xxxx, debtors shall contribute to the Chapter 13 Trustee the pro rata portion of the tax refund that would be contributed in a chapter 7 case. This amount shall be used to satisfy the 11 USC § 1325(a)(4) requirement and shall be disbursed to unsecured creditors in Class 3, Class 4 and Class 6 as listed in Local Rule 2083-2(e) as soon as possible. 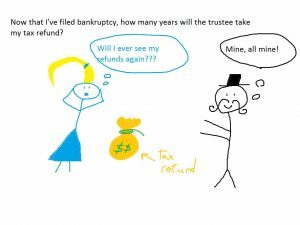 In the event of conversion to a chapter 7 case, tax refunds on hand will be submitted to a chapter 7 trustee as an asset of the bankruptcy estate. For the second and third tax year contribution, debtors are authorized to retain any Earned Income Credit and/or Additional Child Tax Credit. Debtors shall contribute any refund attributable to over-withholding of income tax that exceeds $500. However, debtors are not obligated to pay tax overpayments that have been properly offset by a taxing authority. Tax refunds paid into the plan may reduce the plan term to no less than the Applicable Commitment Period, but in no event shall the amount paid into the Plan be less than thirty-six (36) Plan Payments plus all annual tax refunds required to be paid into the plan. In this scenario, you may pay more from your first year tax refunds and then may pay less on your next two years. As I said, it’s complicated. Just plan on losing part of your tax refunds for 3-5 years. This entry was posted in Utah Bankruptcy on January 17, 2018 by robertspaynelaw. 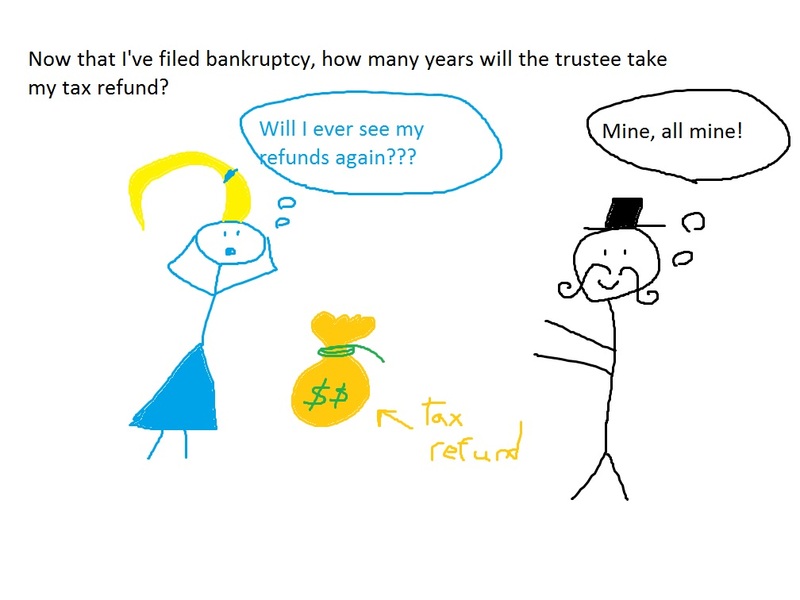 Now that I’ve filed bankruptcy, how many years will the trustee take my tax refund? Hopefully just the next one (in a Chapter 7). You will normally only lose one tax refund to the bk trustee, and if you do it right, then you won’t lose any refund money at all. When we file bankruptcy, the Chapter 7 trustee has a duty to take your non-exempt assets (unprotected assets) like your unspent tax refund, and then he uses that to pay a small portion to your creditors. 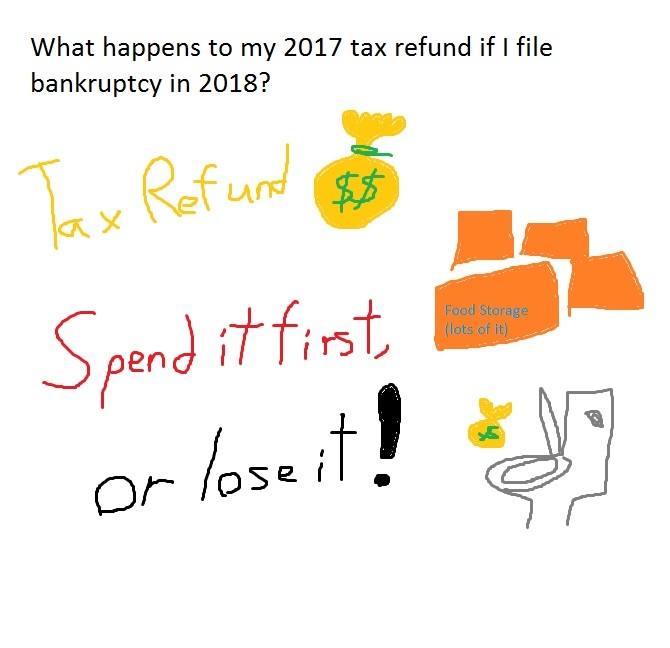 If we time the bankruptcy correctly, you will file, receive, and then spend your tax refund before we file the actual chapter 7. At that point, there is no refund to lose. Then the bk trustee gets to do a little guesswork to see if next year’s tax refund is worth going after. He is entitled to a portion of your next refund, depending on when you filed bk. Let’s say you filed on April 1, well he can go after January/February/March’s portion of next year’s refund, or about 1/4th. If you file on July 1st, he can go after 1/2 of next year’s refund, October 1st 3/4th of the refund, etc. Generally, the bk trustee won’t keep a case open long enough to take next year’s refund unless it looks like he will receive at least $2,000 to pay out to creditors. So, if you’re someone who gets a $12,000 refund each year, then he will keep the case open almost a year to see if he can hit that $2,000 threshhold. If your refund is small each year ($3,000 or less), then it’s generally not worth his time. So normally, you are only in danger of losing this upcoming refund, which is why you want to file and spend that refund money before you file bk. The bk trustee will NOT keep your case open year after year in order to go after your tax refund (at least in a Chapter 7). In a Chapter 13, it’s a little different. Here in Utah, if your income is below median, you’ll turn over part of your tax refund for the next 3 years of your case. If your income is above median, then you’ll turn over part of your tax refund for the next 5 years. The portion amount, above median/below median numbers, and the calculations are a little complicated, so I’ll save that for another day. This entry was posted in Utah Bankruptcy on January 16, 2018 by robertspaynelaw. What happens if I don’t make my filing fee installment payments to the bankruptcy court? Your case gets dismissed, you still owe the money, and you are no longer protected from your creditors. So when you file bankruptcy, you are required to pay a filing fee to the bankruptcy court. Currently, the fees are $335 for a chapter 7 and $310 for a chapter 13. Many people chose to pay these filing fees in installments to the bk court AFTER filing their bankruptcy case. In those cases, the attorney files an Application to Pay Filing Fee in Installments. 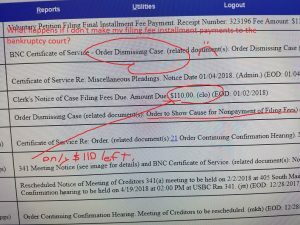 However, if you miss one of those filing fee payments, the court may dismiss the case immediately, or may issue an Order to Show Cause accelerating all of your filing fee payments to be due in the next 2 weeks. If the case is dismissed, your creditors can start calling you right away, they can start garnishment, and yes, they can come repossess your financed cars. If you are lucky, you only have to face the Order to Show Cause. But now, you’ve got to pay the remaining filing fees as a lump sum. Your installment plan over the next 2 months is gone. 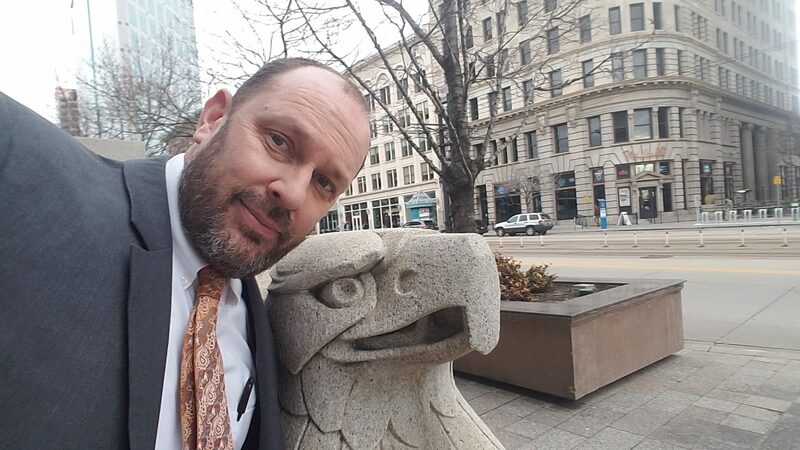 Yes, it is possible to reinstate your case and vacate (take back) the dismissal, but it takes at least a month of no bankruptcy protection and a complex motion that your attorney will probably charge you to prepare and file. Even worse, if you try to file a new bk case, you owe new filing fees plus you still owe those prior filing fees to the court. Your old bankruptcy case does report to your credit, because it was filed (even if it did not go all of the way through). Some people may even think that it’s a good idea to quickly crank out a bankruptcy case to stop a foreclosure or garnishment and then let it simply dismiss out when they fail to make that first installment fee payment. This is a bad idea. Now you have a bk on your credit for the next 10 years (because you DID file), and if you try to file again. the automatic stay (bankruptcy court protection) may be gone on subsequent cases. And yes, you still owe those filing fees to the court. This entry was posted in Utah Bankruptcy on January 8, 2018 by robertspaynelaw. This entry was posted in Utah Bankruptcy on January 2, 2018 by robertspaynelaw. What happens to my 2017 tax refund if I file bankruptcy in 2018? You lose it unless you receive it and spend it first. In other words, if you are contemplating bankruptcy, you should probably figure out how much of a refund you’ll be getting before you pull the trigger on any bankruptcy filing. That doesn’t mean that you should drag your feet on getting the bankruptcy prepared. You should still call today, meet with a bankruptcy attorney (like me), fill out the paperwork, take the online class, and be ready to file. But, you won’t file until after you’ve received and spent that refund. And yes, you can definitely use that refund to pay your attorney’s fees for the bankruptcy. 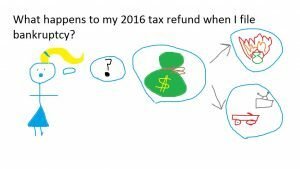 What happens to my 2016 tax refund when I file bankruptcy? You lose it unless you’ve already spent it. Simply put: If you file bankruptcy before you receive and spend your tax refund, you will lose the entire thing to the bankruptcy trustee. It’s that time of year again where I have to answer the phone and tell people that I don’t want their money until February or later because of tax refund season. It makes a lean December/January in our household, but it’s the only way to protect my clients. (I am cutting and pasting from earlier posts, so please forgive the repeat information). So let’s say you get your refund February 1, 2016. What do you do? 1. Don’t go buy a new toy like a dirt bike or a tv. 2. Don’t pay off any friends or family. This is a preferential transfer, to an insider no less, and it results in Mom and Dad being sued by the trustee. 1. Spend it on exempt items under Utah Law. This basically means food, clothing, washer, dryer, fridge, freezer, stove. (Did you see a computer on the list? No. Don’t ask me if that’s okay. It’s not). 2. And use the rest to pay me. So let’s say you spend the tax refund on food storage March 1st and keep all of your receipts. When can you file? March 2nd. There are other items you can spend the money on, and this is by no means comprehensive, but this should give you a good idea on how to spend it. If you have questions on what to use it for, ask your attorney; that’s what he’s there for. This entry was posted in Utah Bankruptcy on January 5, 2017 .